Where the East meets the West, where the sun rises and sets, there is a place only your heart knows. The Bonnie Lama presents a series on your Personal Divine. What is joy? Think about it. What does it mean to you? How would it feel? As we awaken to a divine relationship in our life words like love, bliss, and joy begin to have a deeper meaning as we deepen our experience in life. Here with me today is Walker Whelan, an energetic healer and seer, who will share his experience with Liberated Joy now that he is awakened. Bonnie: Now this might put you on the spot, but to you, what does Joy feel like? Walker: Liberated Joy is just laughing for no reason. That’s the kind of joy that comes to mind. Bonnie: So it’s sort of like being a child, that freedom of expression. Walker: Children naturally have joy and they move out of it as they get older. And its because of the high vibration when the cells are new and the vibration is high, its naturally joyful. So this Liberation brings back that high vibration, that child-like joy. Bonnie: Well its really hard to imagine having that much freedom within your experience. you know, within your mind, that much spaciousness that you could feel joy during the day without having to get tickets for Disneyland and think, “Oh, I’m gonna have Joy there.” Ya know? Or, “I’ll experience Joy when I’m mountain biking.” But to actually to be able to experience Joy in traffic, you know? Right? Walker: The thing with this kind of Liberated Joy is that it moves into everything. Even your anger. Even sadness. It moves into all the emotions so that at the very core of the vibration is a sense of Joy and peace. People don’t understand that when you lose Joy, you lose enthusiasm for life and you start to grasp towards addictions that have temporary satisfaction. If you don’t have Joy then that’s… either that or you will suppress those needs and be depressed. Joy is one of the key components of living a fulfilled life. So there’s lots of benefits to a liberated soul. Bonnie: I know that up till now I don’t think I’ve been doing it. I’ve been getting a “C-“ maybe, when you consider what Joy would be at an A+. Wow. You know some of the sacred images come to mind. The images where there’s a look of pathos on a god’s face, and yet also there’s a peaceful, joyful kind of quality to them too. And I guess I’ve always thought, “Well that’s them.,” but I don’t know that I would ever think that I could feel that way. Walker: That’s part of what humanity is suffering with, its that not very many of us feel special. Because we’re being excluded from something or we don’t have the life we want. The thing with the Liberations is that it brings in a sense that everything’s alright, just the way it is. Walker: And it does get better. Bonnie: It seems as if the more that you actually experience feeling special, the better special becomes and the better everything becomes. It sort of opens the infinite experience. And it also allows, I think, it also makes it easier to believe. You know it sort of births a new understanding of what belief, and faith, and divine can be. As you lift the lid on yourself, it lifts with you. I’m glad you mentioned the specialness because there’s so much in our world we take and sort of harvest as unworthiness, and shame sometimes too, convert experiences that we’ve had that just confirm to us that we don’t deserve something, or that we’re bad. But there really isn’t… doesn’t seem to be that kind of judgement in the divine construction. Walker: Well everything goes back to emptiness. So you take all your charges, all your thoughts, all your feelings, and they run their course and then they drop down into emptiness and silence and a deep state of peace, a deep state of inner Joy. And from that place there’s nothing wrong. There’s no feeling of, “I have to get something. I have to get somewhere. I need something. It’s just…everything’s good. You start to look through the divine’s eyes and they become your eyes eventually. Bonnie: Would you say that was the divine perspective? Walker: The divine, the divine perspective. Bonnie: Do you feel special? Or are you living in separation and scarcity, experiencing only the duality? Specialness seems to be at the center of awakening to your personal divine. It liberates you to move beyond the discovery of divine and into a revelation of what unconditional love and Joy means. I hope you will continue to join me and go deeper in our exploration and sharing of divine experience. For more information on Walker Whelan his weekend workshops and free-to-the-public Friday evening events, go to SacredAlliance.org. With gratitude, the Bonnie Lama Podcasts offer thoughtful conversations and personal discoveries to those who are in search of healing. DitchTheCan™ and start making your dreams a reality today! #DitchTheCan™ isn’t just an opportunity – it’s a Movement. This is your chance to cash in on two explosive business models: social networking and network marketing. With a product that everybody loves, energy drinks. We call it Social Network Marketing, and it’s your opportunity to live the life of your dreams. Seriously. You’re already networking, using social media, and telling people about products and services you love. You just haven’t been paid to do it yet. That’s where we come in. We’re not just breaking the rules, we’re changing the game. It’s time to take your dreams off the shelf and live life by your own rules. What are you waiting for? Start Social Network Marketing today by ordering your energy drinks, claiming your free marketing website and cashing in. In the twelfth century, Rumi, the sufi poet wrote, Today, like every other day, we wake up, empty and frightened. Don’t open the door to the study and begin reading, take down a musical instrument, let the beauty we love be what we do. There are hundreds of ways to kneel and kiss the ground. 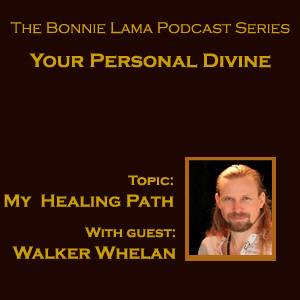 Here with me today is Walker Whelan, an energetic healer and seer. Channeling the significance of devotional practice and the many ways of inviting the sacred into your daily lives. B: So, in our current culture, devotion is not connected to that adoration, or the gratitude. W: When you adore the divine, the diving adores you. Everything you bring forth to the divine gets magnified back to you. And that creates a dynamic magnetism. When you start to create magnetism towards relationship, and even into adoration. Adoration is the highest form of devotion. It gets easier to be devotional the more you engage with the divine. It becomes natural, to give thanks, the more we practice. Like anything you do regularly, you get better at it. You get more in shape if you work out everyday, same with your personal practice. You get more connected, you develop that relationship. B: So, we talked about altars. And having one in your home, channeling the divine through it, so it has a relationship with you, it has meaning. W: The altar is like a gateway, so it’s your personal gateway. However you may set it up, it’s your direct link. And, start a prayer book. Prayer books are amazing, because you can track the progression, you can see when you pray, it’s good to put a time and a date, you can see what you pray for, is it manifesting. And if you put your prayer book on your altar, every time you access the gateway to the divine, it feeds the prayers. So you start building those experiences, prayers, and then seeing the prayers manifest, then you become faithful and devotional. Because you know it’s really working. Then you can become more dedicated, because you know it works. And it’s natural to want to thank divine energy, say, okay divine, take care of all the details of my life. I’m really wanting to bring you in more, and experience your divine presence, please help me. When you ask for help, it’s a very vulnerable place to be. So the more you can ask for help from the divine the better actually. It’s not giving up your power, it’s empowering you to the divine. B: Now, you went to India to learn all of this. And in India, they have a deeply devotional way of worshipping. How did that affect you in your own practice? W: Well, everybody hits their resistance there. I hit my resistance to devotion, because they’re so devotional. I mean I thought I was devotional. But they’re devotional devotional. I mean they had us dancing, bowing, ten, twenty times a day, we were just constantly doing something devotion or ceremonial. If we’re not learning something, we’re going through a process. If you’re not ready to push through some of your personal identity wants in this life, because it’s about becoming aligned with the larger picture of what the divine wants. And when we align with that intention, the divine brings through a different future for you, for yourself. The divine wants to bring healing, divine wants to bring awareness, joy, wealth. The resistance is, “Oh I have to give up myself.” But you don’t have to give up the self, you just have to give up the perception of who you are. And you change into the divine self. That’s the only resistance, you have to give up separation. B: Yeah. I have always had resistance to the idea of bowing and not really ever investigating what was behind some of the devotional activities I’ve seen and heard of in other cultures and other religions, and yet I have experienced this now personally to know that it is another example of surrender, and of gratitude. That it busts the paradigm, you know. So, when you went to India, you went through this twenty times bowing a day and all of that and your mind said “Noooo!” to some of these things, when? W: They totally exhausted us to the point where we surrender. There’s nothing else to do. There’s nothing else to do but surrender. But then by surrendering, you actually benefit the most. So getting into the practice of surrendering as a discipline, is important when you engage with your divine self. Because you need to be listening in order to hear what the divine is saying. It’s not always a straight forward, like, “you have to do this,” it’s more like you have to listen, like “What am I feeling? What is it that I think I need to do, what is it that the divine wants?” and asking questions. B: And I suppose there is maybe a comparable to just feeling like you’re naked, even to yourself. Because I think we spend a lot of time in denial or avoidance of actually listening. W. The great thing is, the divine is unconditionally loving us. All the time. So the minute we reveal ourselves, and are open, it’s right there. B: Something that I think here in the United States we take for granted is the conditioning of a place. So for example, you were in India, and the spiritual energy was thick. 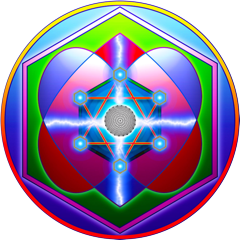 And of course they’re all there to assist in the opening and awakening everybody who was attending the Oneness University. But there probably has been a deep conditioning of that area, and here we don’t have that concept. I think, and from what I see from your classes, and also in some of the deeksha events, is that there is that feeling of this collection of energy that is all drawn together. And I think that’s part of this devotional aspect. W. The power of prayers, especially group prayers, is amazing. B: I like to see it as an imaginary cathedral, or like a pop-up cathedral. All of a sudden you’ve got this great place where everybody is sort of seeing the same thing. But then even taking that and saying, within a day, can I have a popup cathedral, in the corner of my apartment, or in my car, or even the restroom. I need to be reminded because I’m feeling so alone, I can go to it. A lot of us don’t even know that it can go deeper. We are skimming a superficial experience in many ways even in our spiritual pursuits. Not knowing, that it can be so exalted. B: If there are hundreds of ways to kneel and kiss the ground, what is yours? Will you pause to meditate? To pray? Or to clear space in your home for the divine? Our lives are so busy, there isn’t time for ourselves. But, isn’t that what the relationship with the divine is all about? This podcast is one in a series of exploring how you can deepen your personal relationship with the divine and find peace within what is. For more information on Walker Whelan, go to www.sacredalliance.org. Or go to BayAreaOneness.com, to learn about awakening your devotional practice through Oneness University.